The Country Garden products range is of a design for use by professionals, productive gardeners and the occasional users, for being practical and well made. These tools are stylish, easy to use as well as durable. 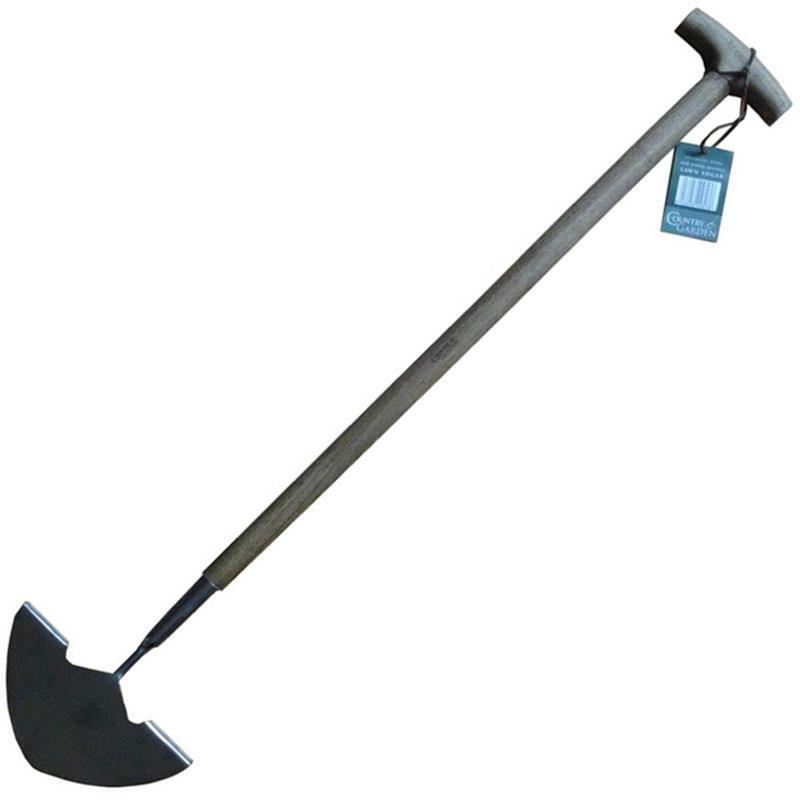 This lawn edger is designed with a half moon blade for neat lawn edging. Features include a polished stainless steel head for resistance to rust and solid ash wooden handles providing that unique, vintage appeal.